Looks like this little guy could use a shave but that will have to wait until he is done enjoying a nice cool drink. He certainly waz Great picture. Great capture, Mike. Love that eye, too! Hi Eliza, I think er have all reached agreement on the wonderful nature of butterfly eyes. You can say that again. 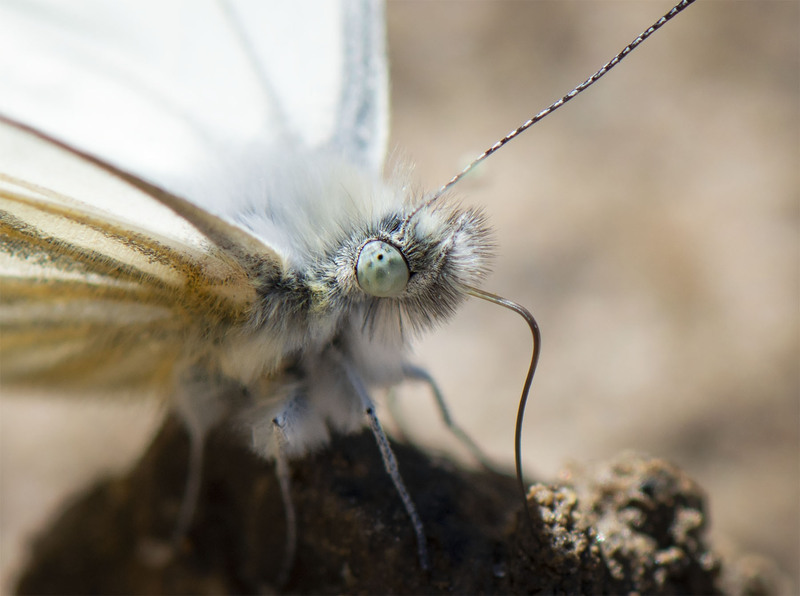 Butterflies do have some of the most interesting eyeballs. Colorful, strongly shaped at times and even sometimes fuzzy. Thanks Reed. Hop your week is treating you well. Hi Debi, butterfly eyes are so very unique to look at. so colorful land sometimes fuzzy. Just wow! And that eye! It is a wonder to see a butterfly eye. Indeed! Appreciate your awesome macro shot!